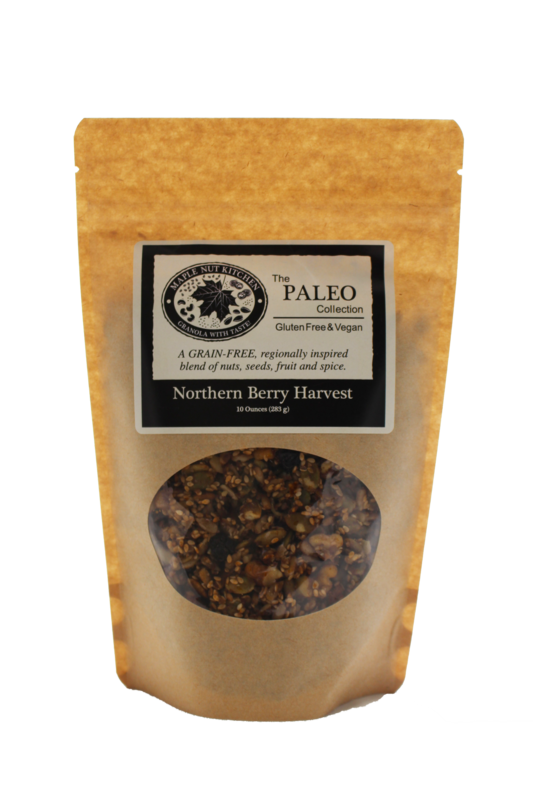 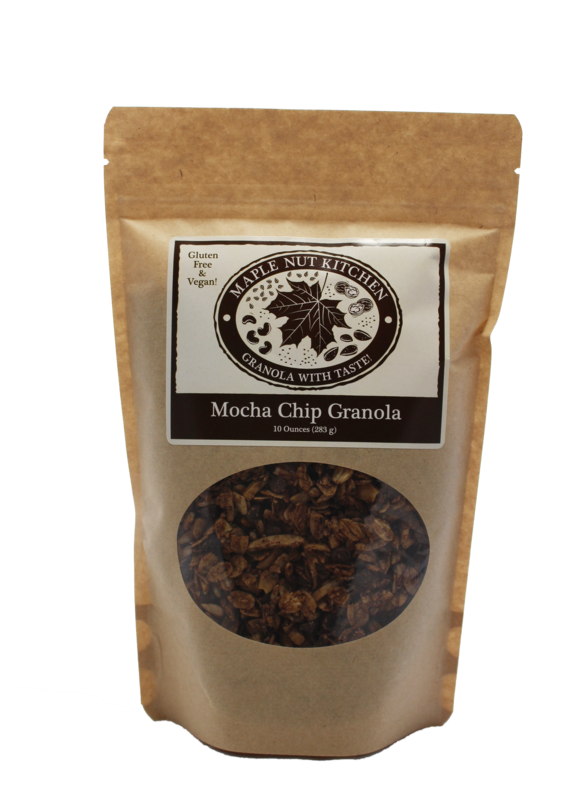 Maple Nut Kitchen makes a delicious Mocha Chip Granola. 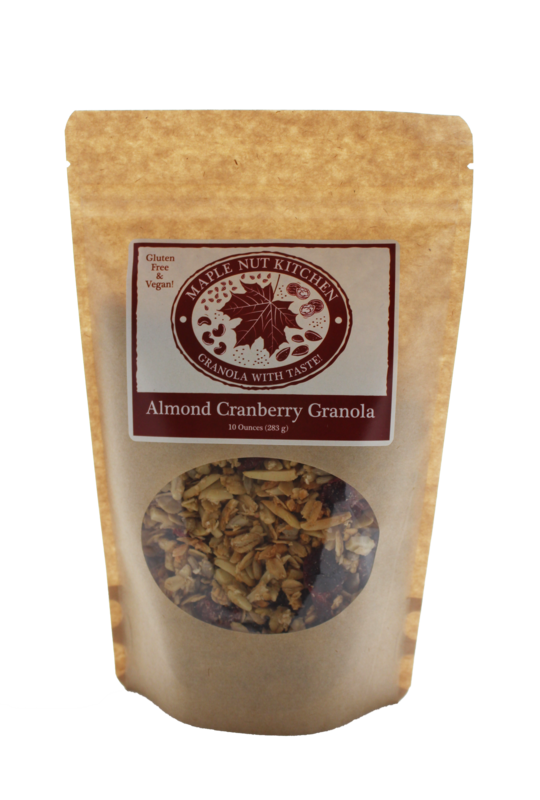 This granola is gluten free and vegan. 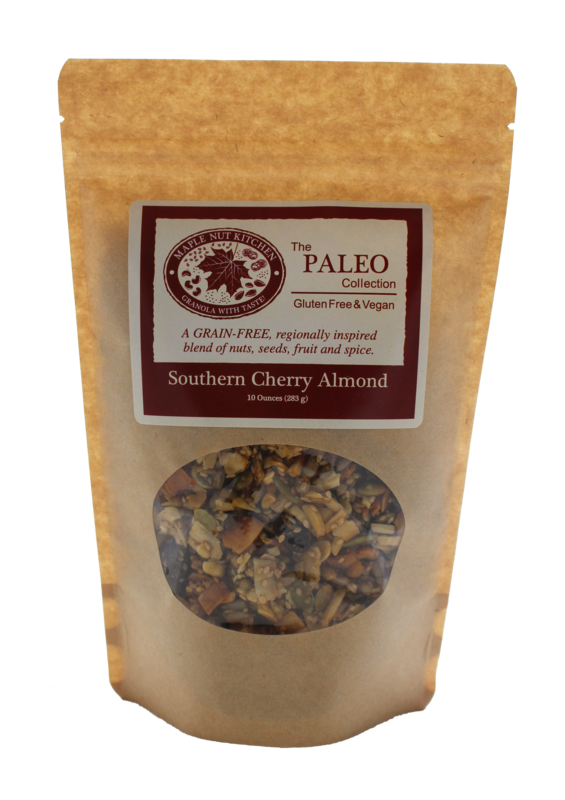 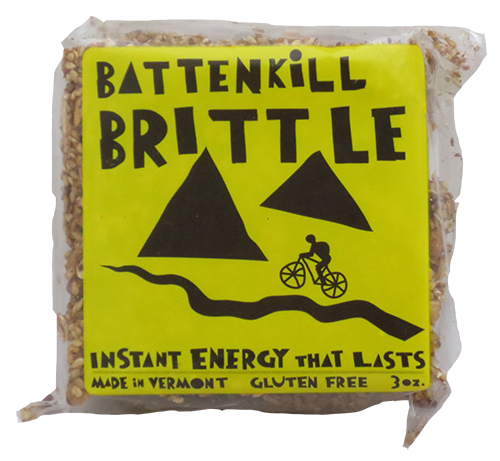 Ingredients: certified gluten free oats, almonds, chocolate chips, sunflower seeds, olive oil, maple syrup, sweetened shredded coconut, instant coffee, cocoa powder, vanilla extract, salt, almond extract.